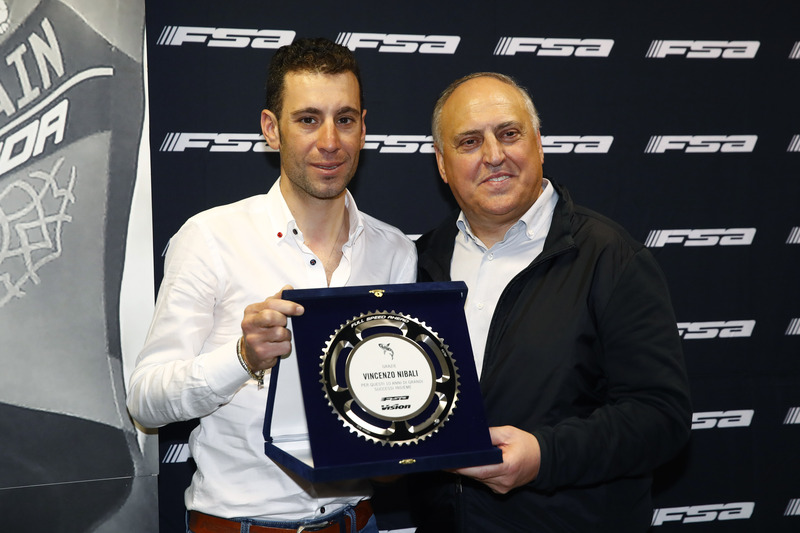 Nibali rewarded by Vice President and Global Marketing Manager of Full Speed ​​Ahead, Claudio Marra. Monday 28th January we celebrated in FSA European Headquarters the 10th anniversary of our collaboration and friendship with the great Italian champion Vincenzo Nibali. Full Speed ​​Ahead and Vincenzo Nibali have a long way together, and this event has been an opportunity to celebrate together this successful adventure that started in 2008 with Liquigas Cannondale. A collaboration that became a true friendship between the Italian champion and FSA over the years. FSA was seduced by Vincenzo's maniacal attention to the technology and the products, valuable for the development of our new ranges, while the Sicilian champion always found a great support in FSA concerning the technical aspects and performance improvements. 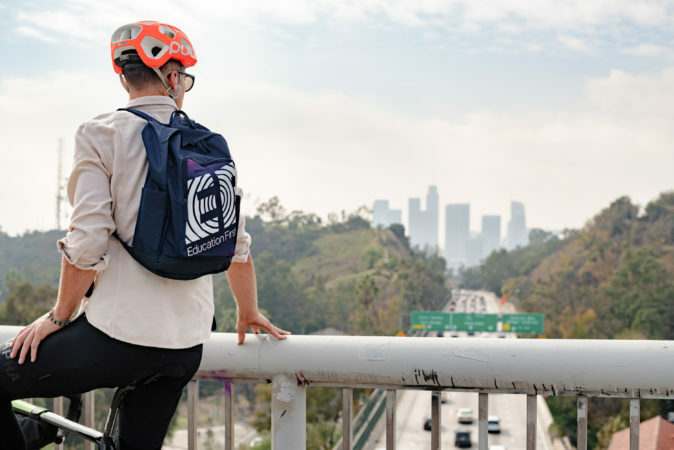 "With Vincenzo, a simple collaboration has been transformed over the years into a strong friendship that has been established for ten years", announced Claudio Marra, Vice President and Global Marketing Manager of Full Speed ​​Ahead. "We have always tried to support Vincenzo and his team by developing and providing our best products." On this occasion, a new agreement has been formalized between FSA and the automotive manufacturing company KIA. From now FSA staff will travel with the dynamic KIA CEED Sportwagon, taking part to the most important national and international events. "I am proud to be the spokesperson of this new collaboration between two major brands such as FSA and KIA. All of us are motivated by the same objectives: to improve and always get the best results" said Vincenzo Nibali. Nibali is quickly approaching very important season where he is scheduled to race in both the Giro D’Italia as well as the Tour de France. Judging by the 2019 course profiles for both Grand Tours, he has become an early favourite to podium in the general classification. In the picture above, Rai TV Journalist Andrea De Luca, Dr. Antonino Cassisi, responsible of charity project Cycling for Armenia ( Click here to discover more: https://bit.ly/2DGepwl ), Vincenzo Nibali, Claudio Marra and Gustavo De Cicco, Fleet Marketing Manager KIA Motors Italy.